The olive trees in Monaco have had a winter haircut. 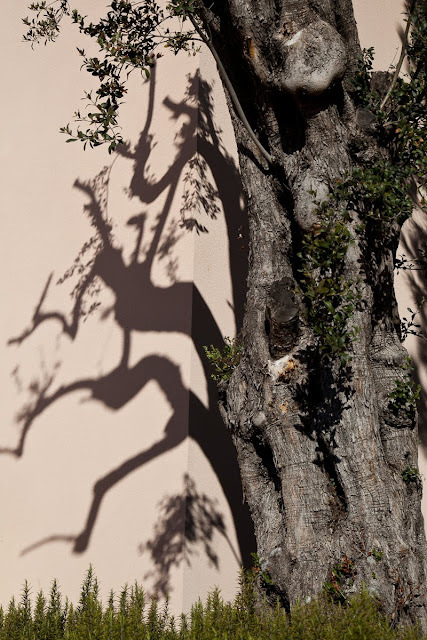 This tree grows outside the church of Saint Nicolas in Fontvieille. and the interesting shadows seem to be admiring each others haircuts! Reminds me of something from a fairy-tale...in the wicked forest! Great shadows. Genius. that's all I can say.